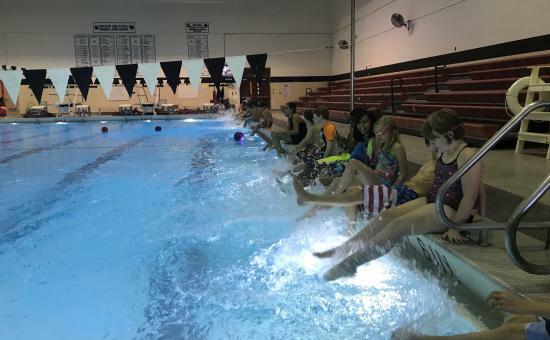 Brad Bennett, physical education teacher and aquatics instructor at Western School Corporation in Russiaville, shares in the spring Advocate why keeping kids moving improves retention and encourages growth. Read the full article. In the world of high stakes testing, growth models and targeted groups, educators are expected to look at our students as numbers, letters or colors. We are always looking to find better ways to help our students grow and perform when it comes time to test. An often-overlooked strategy that has been proven to get results is physical activity. Physical education class isn’t just the place where classroom teachers leave their students to learn running form and how to kick and throw a ball. Students also become better learners. As a swimming instructor, I enjoy giving my students a break from the confines of their traditional classrooms. In my classroom, kickboards replace whiteboards. Swimming is an unfamiliar skill for many of my K – 2 students. I help them realize that improving their skills as a student will help them directly improve their skills as a swimmer. When that happens, they leave the pool as better swimmers and better students. Don’t be afraid to incorporate more physical activity into your students’ day. If you can create a learning environment that puts them in a healthy balance, mentally and physically, you will have created a perfect situation for student learning and positive test results that show student growth and satisfy any performance box that needs to be checked off an evaluation.